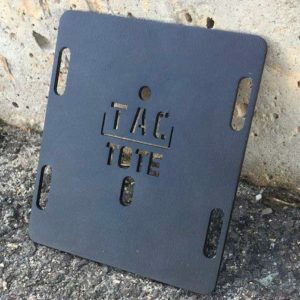 Tac-Tote produces products that make sense for the end user. Born out of the Nuclear Security Industry, each product is unique unto itself and provides the user qualities that are intended to make them more efficient or effective. The core products within the Tac-Tote product line use clever design and the strength of custom designed magnet assemblies that allow the end user the ability to employ them on or inside armored vehicles and/or defensive positions. Gaining in popularity, some of the products are now being deployed inside traditional Law Enforcement vehicles as a means to stage ammunition and medical supplies in a much more efficient and consistent fashion. TAC-TOTE.COM 2018 © ALL RIGHTS RESERVED.